Load or Overload – The loading of the tissues being stretched needs to be greater than those we experience in normal daily activities and probably to the point of slight discomfort (not pain). Overloading does not mean torturing yourself but should be a gradual or graded progression and could include increasing the force, range, speed, and/or duration of the stretching exercise/activity. Repetition – How much and how often should we stretch to make a real, permanent change? No one knows for sure, but probably a lot. Particularly if you are not limited by pain, then the longer and more frequently you stretch, the more effective it will be. Lasting improvements in range of motion take weeks or months of dedicated work, so the more you can incorporate range of motion challenges into your daily life, the better. Specificity – In simple terms we get better at what we practice, so practice/stretch specifically for the movements you want to improve. The more similar the exercise to the task, the more likely it will transfer to improvements in the goal task. Studies have shown that while long-term stretching has been shown to improve range of motion, those gains are not observed during functional tasks (i.e. walking) if not practiced. Active Movement – It seems like an obvious statement but in order to get better at moving you have to in fact move. Passive, sustained stretching can indeed have a place in restoring mobility particularly when there are barriers to active movement such as pain or post-surgical restrictions. 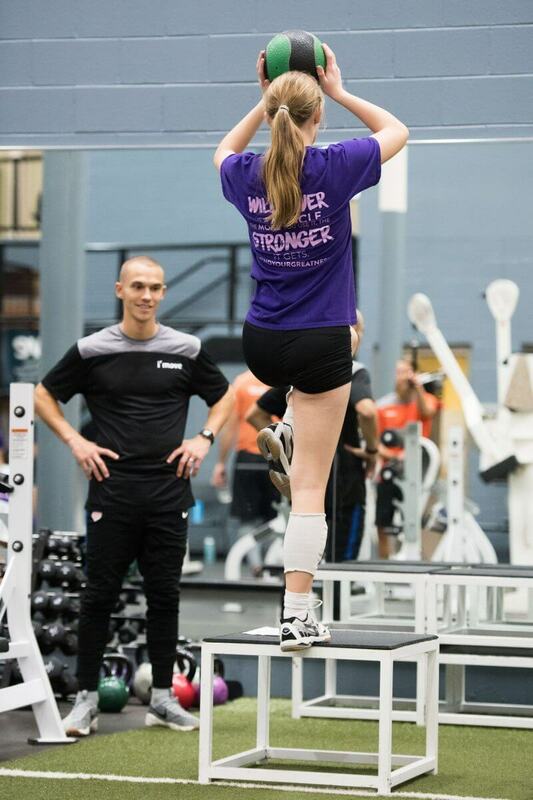 However, in order for your stretching to ultimately transfer into improved performance or movement ability there needs to be an active component. Goal-Oriented Movement – Stretching individual muscles or tissues is not very plausible and more likely impossible at least partially due to the vast array of intertwined connective tissues that bind us together. In addition, the body doesn’t function in that manner normally. We move to accomplish tasks or goals, and because this is the way our body creates and controls movement, it makes logical sense to train our range of motion with goal-oriented movement that resembles the tasks we are trying to improve (i.e. squatting, running, etc.). Back in 1889 neurologist Hughlings Jackson reminded, “the brain knows nothing of muscles, it knows only movement.” We would be wise not to forget that as we try to improve our movement ability with stretching. So in summary, yes stretching can and does work as long as you are patient enough to continue loading the tissues over and over again for a long time actively in a manner that is similar to the movement you are trying to improve. Beginning Saturday, January 20, 2018 i’move is hosting Open Gym Saturdays at the MSA Fieldhouse in Grand Rapids. This is a time for athletes to come in and work on strength straining or any one of the prescribed workouts by the attending trainer. Which Bones, Joints and Muscles Do You Want to Keep? Chances are you’ve come across the old dental health adage: “Floss the teeth you want to keep.” The first time you spotted this sign in a dental office or heard the phrase uttered word-for-word by the dentist probably elicited a giggle or a snarky remark. But once the humor of it washed away, you more than likely had an a-ha moment. It just makes so much sense, doesn’t it? Let’s try to apply this principle to other parts of the human body: What if you only stretched the muscles you wanted to keep? What if you performed weight-bearing exercises to maintain the strength of just a few of your more than 200 muscles? This is an extreme example, of course, but without the guidance of a physical therapist, it’s possible that some parts of your musculoskeletal system may be inadvertently neglected.